FCA Chairman John Elkann in a file photo. AMSTERDAM -- Fiat Chrysler Automobiles executives gave an upbeat forecast for 2019 after a tricky end to last year and a slow start to this one, confirming the carmaker was on track to meet its targets and easing fears of a slowdown on the North American market. 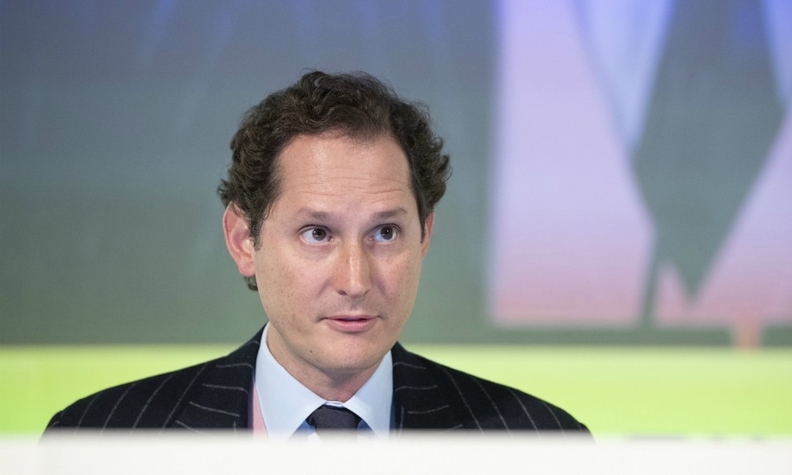 Speaking at a time when deal talk is bubbling again in the industry, Chairman John Elkann told investors FCA was ready to play a part in the "new and exciting" era for the auto industry. "Despite the (fact that the) second part of 2018 included trade difficulties in some areas that persisted in the first part of this year, we forecast a significant improvement in the second half of 2019," Elkann said. CEO Michael Manley, who took up his post last July, said the group's operating performance this year would exceed the record results posted in 2018. Manley said industrial free cash flow this year was expected to be more than $1.7 billion, down on last year due to higher capital expenditure. Manley also said he aimed to make dividends at FCA a regular feature after the group paid 0.65 euros a share to investors on 2018 results -- its first dividend in 10 years. Elkann -- a scion of Italy's Agnelli family that is Fiat Chrysler's biggest shareholder -- reiterated the family was prepared to take "bold and creative decisions" to help build a solid and attractive future. FCA shares rose 2.6 percent to close at $16.07 in New York.